With RadioGet you can listen to your favorite internet radio from over 25,000 available stations. 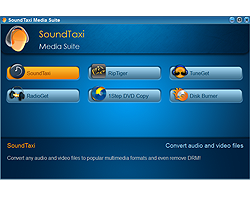 The program will automatically record full songs you listen to, sort them and apply proper tags. 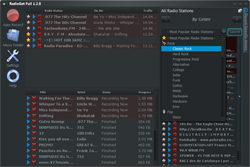 Streaming radio is now easy and fun. Select the genre or your preferred station to start listening and recording immediately. The music is recorded with no quality loss for your best enjoyment. And of course it's legal. Save a wealth of money by getting all your favorite songs with RadioGet, only at the cost of the program. Select specific artists and the program will record only their music as soon as it airs on any web radio station. You will expand your media library tenfold in no time! RadioGet will record the songs of just about any genre. Turn on the auto record function and let it work for you in the background - your hard drive will be packed with great music. Better yet, with this program you will discover new music!